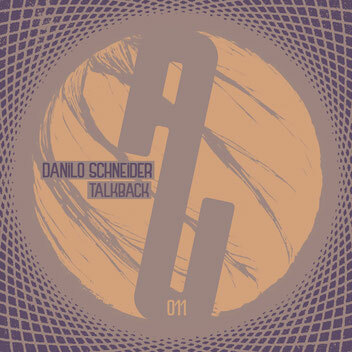 We had a quick talkback with DANILO SCHNEIDER and agreed with no doubts, that this three-tracker EP is the perfect match for No. 011 on as usual.music! So, we’ll turn off the lights, switch on the fog machine and let it roll. Expect a sophisticated stepper with a distinctive groove. Danilo has built over the past years a profound environment based on a substantial sense for music, centered by his label Enough! Music. Never enough of his former releases on labels like Highgrade, Fantastic Friends, Broquade, Tip Tap or Moan, the more we are excited to have him here on board. So let’s drop it now: „Shift Random“ is an optimistic and crowd-pleasing tune with a nicely slanted hook. The precise combination of bass and kick thrusts the dancing machine, piled with warm percussion stacks. Subtly enlighted synth drawings are giving an ideally tensed spice for the breaks. And the real king is... the swinging cymbal ride! „Stay Here“ is an incredibly groovin’ loop track. An implied housy touch in the deeper backyards of quirky beat pattern is entirely well-dosed on a straight mode, topped with paddling and easy- wheighted chords. Smells airfresh! Danilo calls it „Wrong Solution“, we call it the exactly right solution. The third piece of this EP shuffles in between word shreds and odd soundshapes, which he created on smartly arranged drums. But there is one thing we can repeat here saying till death... this immense groove!